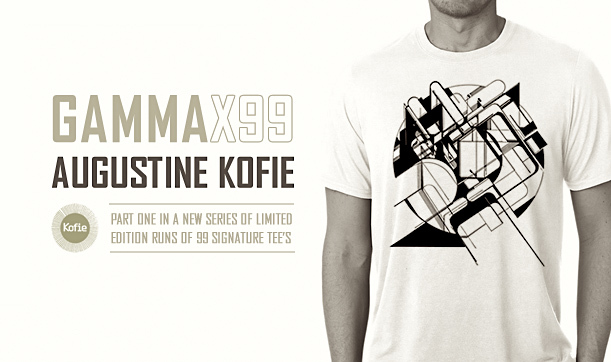 Part One in a series of limited edition runs of 99 signature artist designed tee’s. Pre-shrunk jersey. Seamless double needle stitched collar, tapped neck and shoulders. Double stiched sleeve and waist hem. Outer-turned body to eliminate centre crease. Hand printed and constructed in London utilizing international parts. Available only through Gama Proforma here.